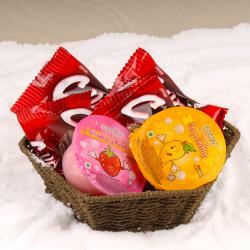 Product Consist : Designer Basket comes with Christmas Decoration Material along with Packs of Delicious Cakes (Slice Cake and Cup Cake - Total Weight: 200 gms). 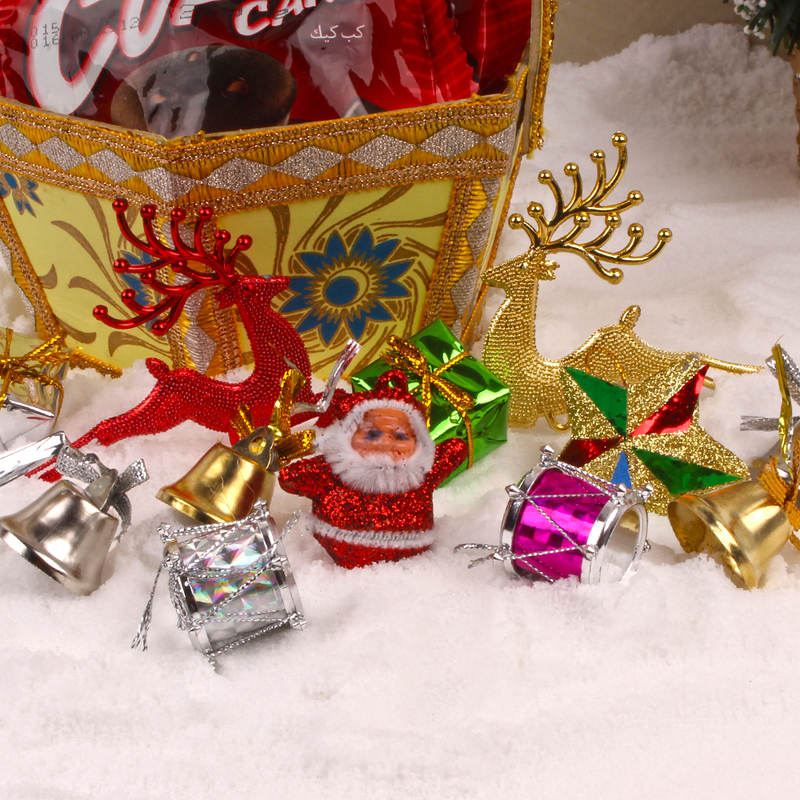 You are searching an exclusive gift to send to your dear ones on the occasion of Christmas then we have the most exciting options for you. 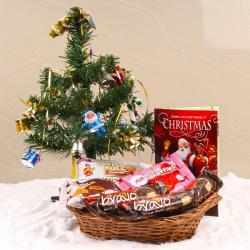 This is a stunning gift basket that comprises of delicious cake packages along with decorative like bells, bands, gift boxes and many more. Which are definitely useful for Christmas tree decorations. 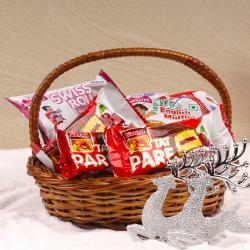 So, hurry up and buy your gift now and send your best wishes to your dear ones with this Christmas gift hamper. 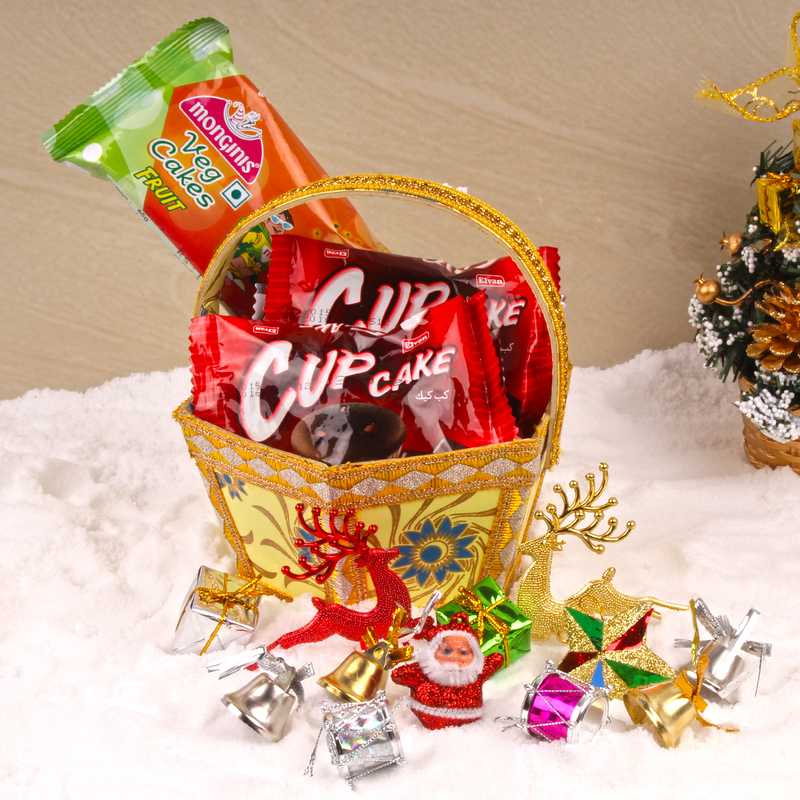 Product Consists: Designer Bucket comes with Christmas Decoration Material along with Packs of Delicious Cakes (Slice Cake and Cup Cake - Total Weight: 200 gms).